After a month off from meetings, the board of the University Neighbourhoods Association is meeting and their agenda package is so big it comes in two parts (part 1 and part 2) and has a number of goodies that deserve mentioning. The RCMP doesn’t like concerts. Also, the sky is blue. The UNA requested a report from the RCMP regarding the Invasion Festival, a DJ concert held in late June at Thunderbird Arena. The RCMP, who did a comically poor job at censoring the report (all blacked-out text is easily readable), came to the following conclusion: like, ohmygodyouguys, people had drugs. DRUGS! There were 13 official files involving drug & alcohol seizures and public intoxication, with one reported overdose. The RCMP also mention that there was far more illegal activity going on than was documented and that they had to call in additional officers, and dogs, from Burnaby. The memo is written in a way to portray that (a) concerts at the arena are horrible and (b) the campus RCMP is severely underfunded. 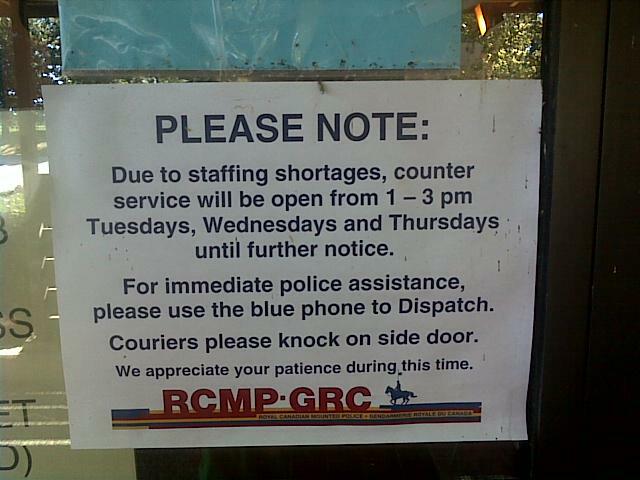 In related “the RCMP wants to portray they’re severely underfunded” news, they have reduced their office hours to 2 hours per day, 3 days per week. If you’re looking to get a liquor licence approved, you only have a 6-hour-per-week window to do so. That’s a fairly good strategy to cut down on issuing those pesky things, isn’t it? You only have 6 hours per week to talk to the RCMP. A full “track changes” version of proposed Wesbrook Place Neighbourhood Plan amendments is in the package. (Wesbrook Place is the residential neighborhood you’ll find south of 16th Avenue and west of Pacific Spirit Park, also known as “where the Save-On is.”) Much of it is housekeeping changes due to the fact that they are changing the name of the neighbourhood from “South Campus” to “Wesbrook Place” and the fact that the Land Use Plan replaced the old Official Community Plan. The stuff people actually want to know, like the number of units, amount of floorspace, and estimated population is all “tbd”. The good news is they meticulously documented all of the name changes. Because that's what really matters. Unfortunately, there are no maps included to indicate all of the sites where they intend to put 65-metre-tall (the maximum height allowed) buildings. Early indications are that the entire neighbourhood will be ringed with 20+ storey buildings. There is an Open House on September 21st where C&CP will note your concerns, then ignore them. The UNA will have their AGM on September 28, 7-9 pm at the Old Barn. There are a whole six candidates running for two resident director spots, including one incumbent. UNA elections are generally as apathetic as those for the AMS or [X]US. The UNA is in the money. The UNA has a surplus of $132,269 for the fiscal year of 2010/2011. They are spending $121,700 of it on pet projects and putting the rest in reserves. (Maybe the AMS should be asking for a handout?) One thing’s for sure: in the event of a zombie apocalypse, the UNA definitely has you covered. A recurring theme in the agenda package is that the UNA has been doing lots to be prepared in the event of an emergency at UBC. With $36,000 of the surplus they have hired consultants to help develop emergency preparedness plans, and are buying radios and a 1500 watt portable generator.